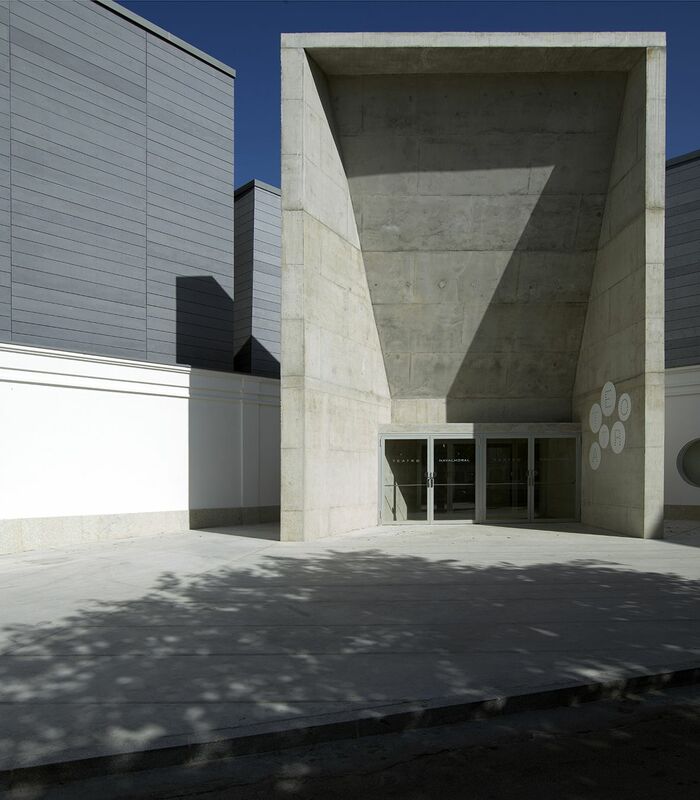 The old Municipal Market, now the Navolmoral de la Mata Theatre, is a free standing structure located at the edge of the traditional town centre and the area of twentieth century urban growth. The original "L" shaped edifice was formed by 2 sheds and an open atrium providing access to storage areas. 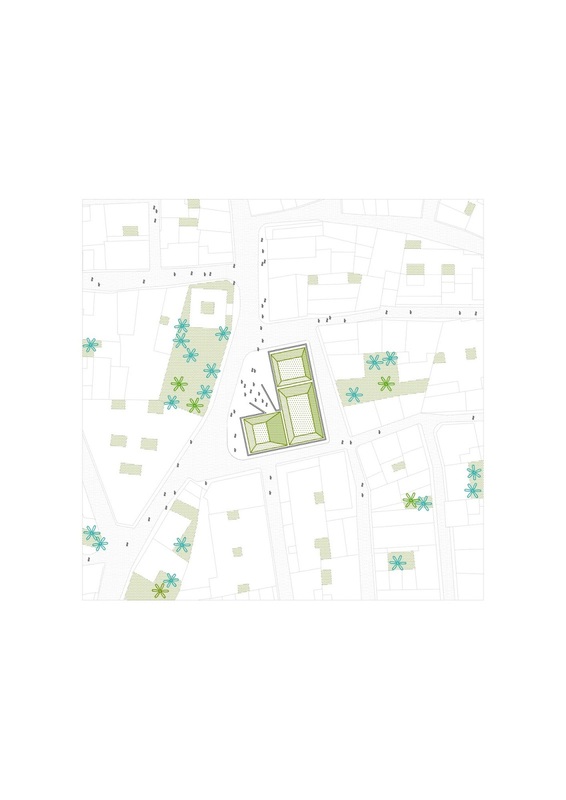 Surrounded by housing blocks too tall for the scale of the narrow streets, the Market, City Hall and Church seem to have escaped from a fairy tale. These newer blocks of recint vintage contrast with the dimunitive scale of the public buildings which are a patent reminder of the agricultural origins of the city. 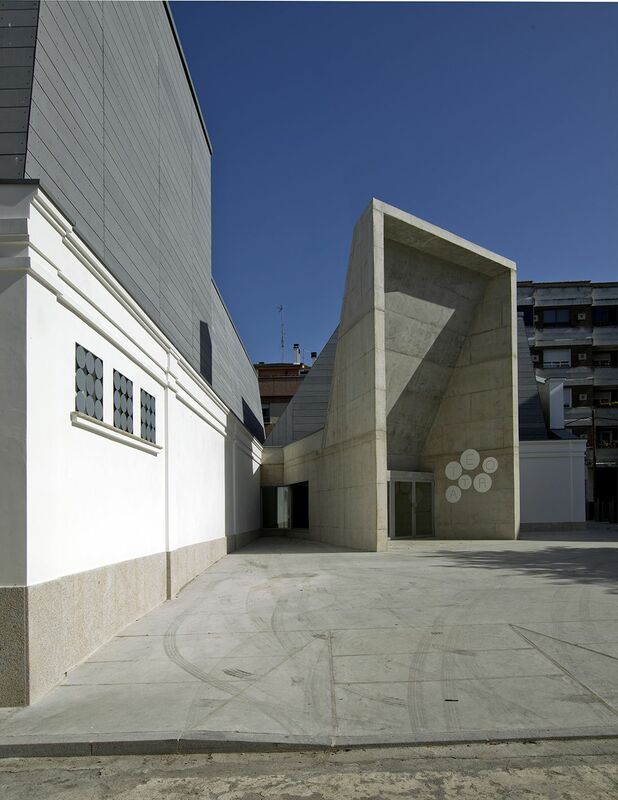 The rehabilitation preserves the ambience and scenic qualities of the old market, while providing Navalmoral de la Mata and the area with a new theatrical infrastructure. 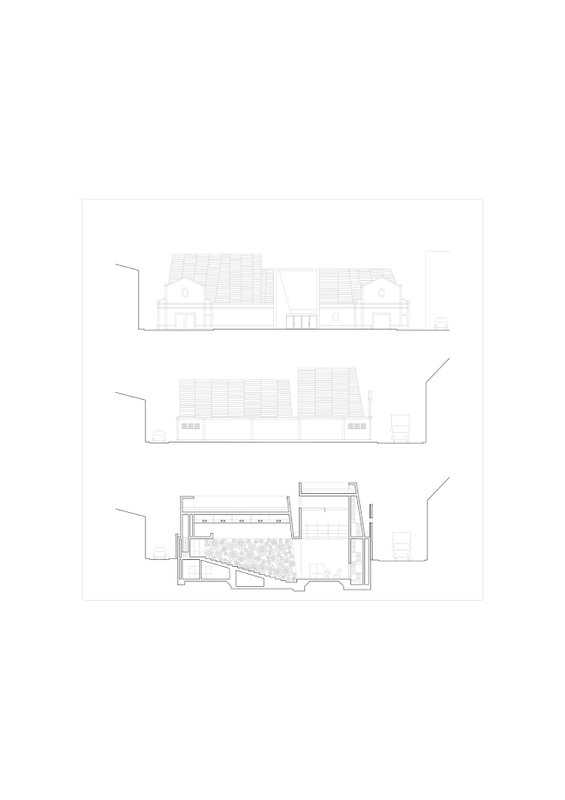 Visually the old market merely changes its roofs; in reality a new building is built within the old-independent in order to avoid humidity and ground water. 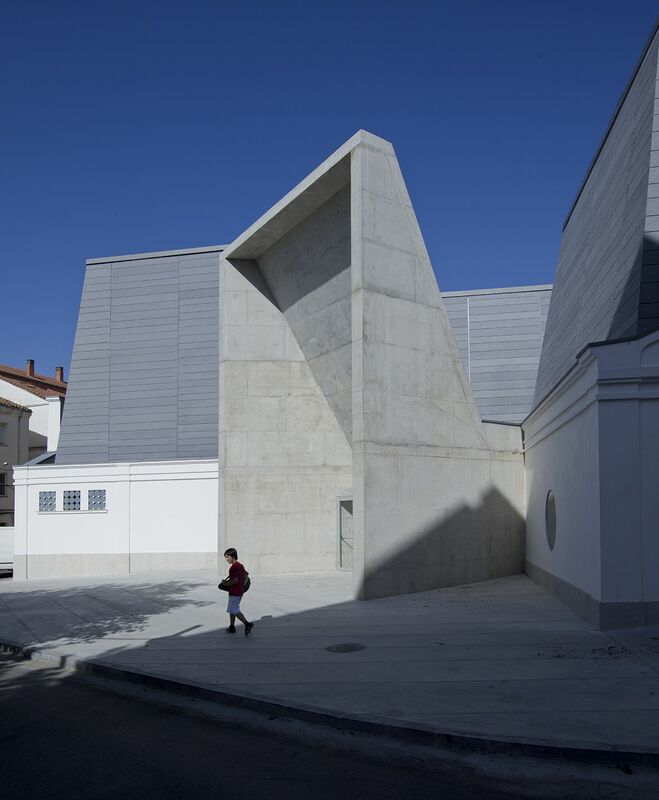 Made entirely of poured in place concrete, the inner building allows for greater volume and longer structural spans than the old construction; facilitating its new program as a theatre. 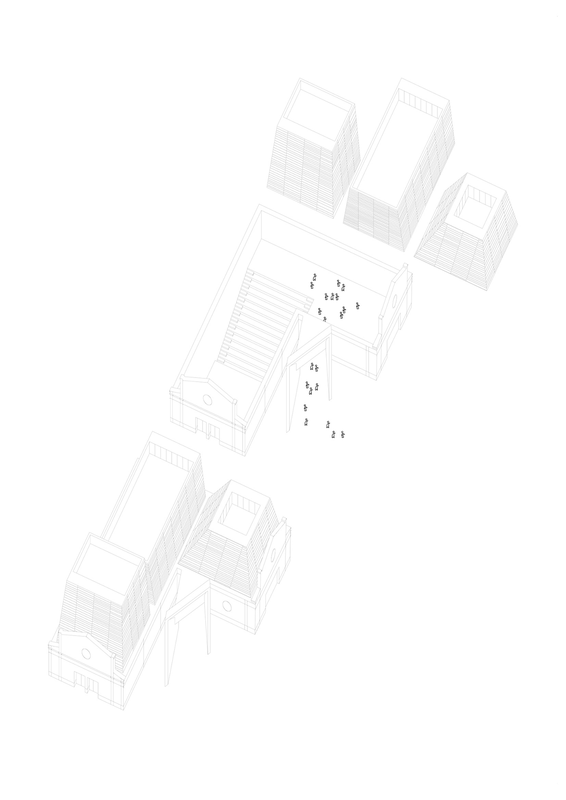 The old atrium-courtyard is replaced by an access portico, separated from the older construction. 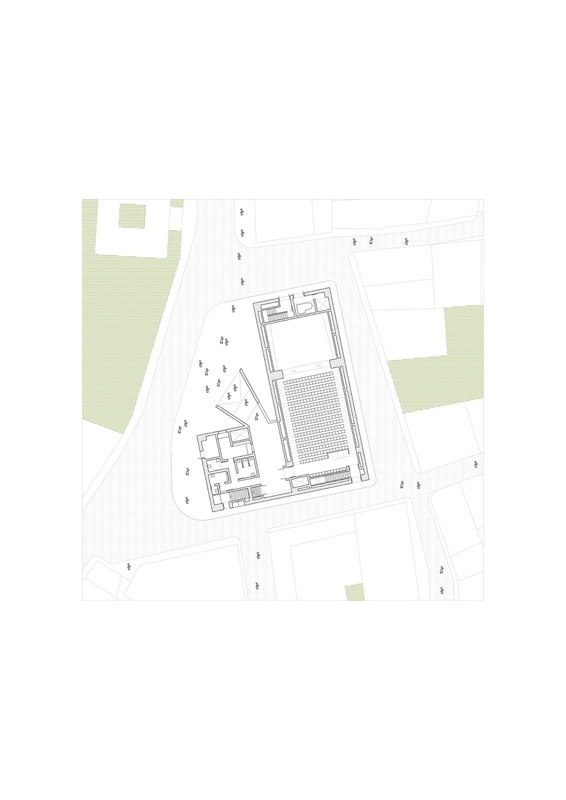 This element marks the entrance, links the old and new structures, and makes visible the new activities taking place within. 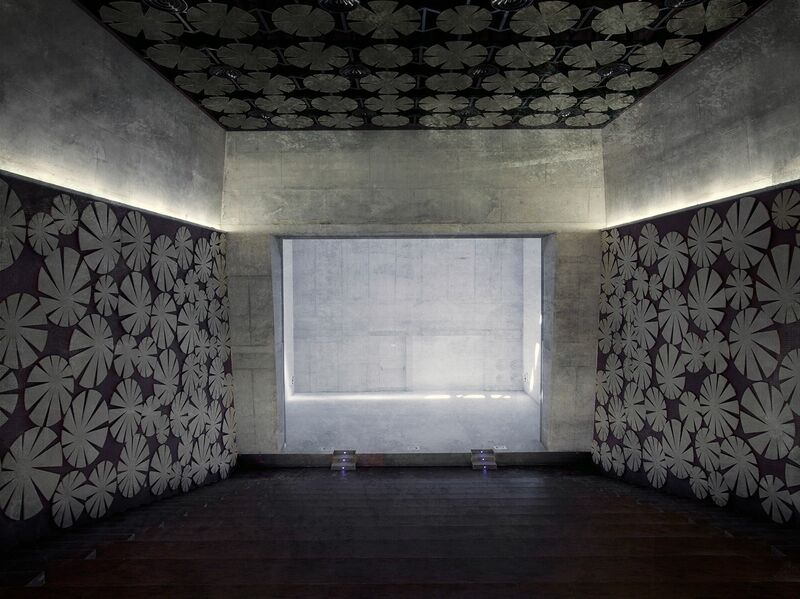 The concrete walls that form the space are bare, bearing the marks of their making. 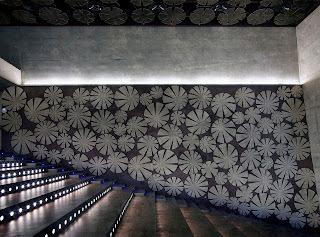 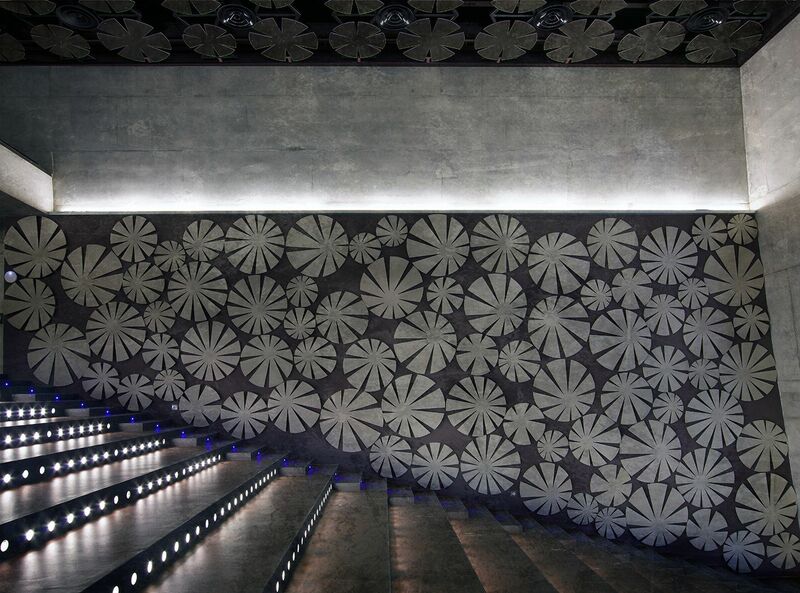 Within the theatre, the walls are covered in flowers; dressed to resolve the technical requirements of the space.